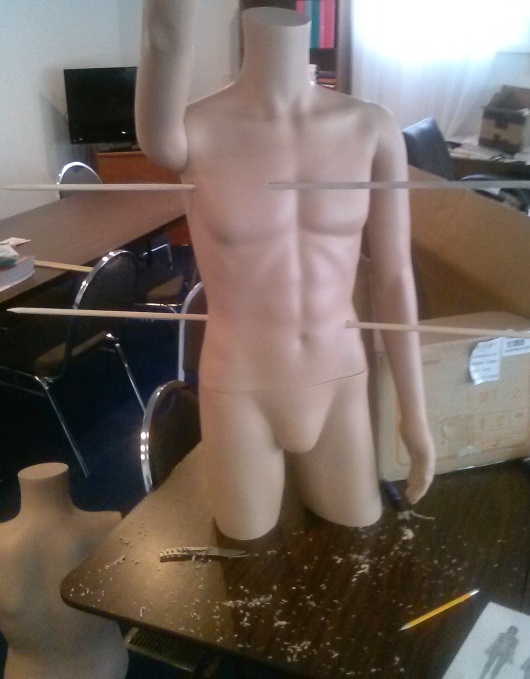 Examination of some ballistic characteristics can be done with the naked eye. Cartridge on the left was fired from a "Glock" automatic pistol, as for the one on the right, it could have been fired from many different guns, and closer examination is required. 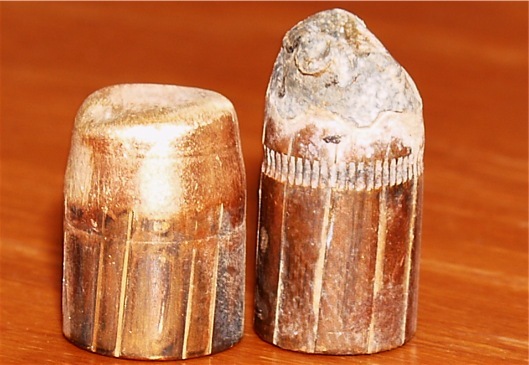 The bullet on the left was fired from an automatic pistol, and the rifling grooves are the same distance apart from top to bottom. 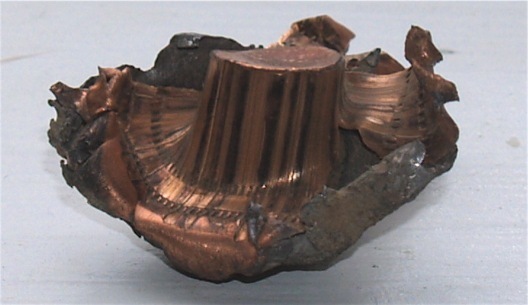 The bullet on the right was fired from a revolver, and the grooves are wider at the top then at the bottom, due to slippage. Casings are dragged across the edge of the ejection port as they are being thrown from the weapon, these marks can be matched. Many times ballistics can survive extreme impacts, as demonstrated with this 30 caliber soft-point bullet. Bullet's path proves complaining witness was trying to shoot defendant in the face with a shotgun when he was shot by defendant.